Warren Buffett echoed Tesla Inc.’s (TSLA.O) largest outside investor in questioning whether Elon Musk and Twitter make a good match. “He’s a remarkable guy. I just don’t see the necessity to communicate,” the chief executive officer of Berkshire Hathaway Inc. said in an interview with Yahoo Finance airing on Friday. 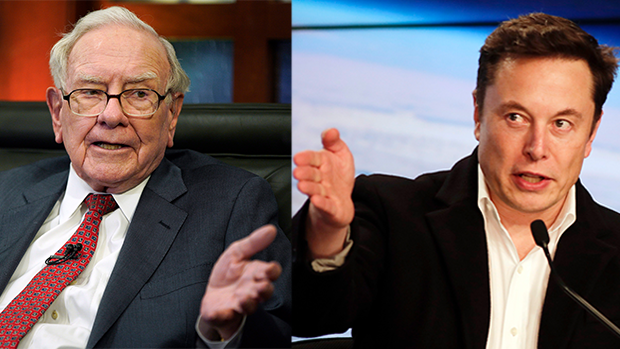 Buffett drew a stark contrast between Musk’s Twitter habits and his own, saying he’s only on the social network because a friend asked if she could sign him up and post on his behalf. The comments about Musk’s tweeting and tendency to say things that get him into trouble are reminiscent of an interview James Anderson, a partner at Baillie Gifford & Co., gave to Bloomberg Television last month. The portfolio manager for Tesla’s largest shareholder after Musk said the CEO may better serve the company by being less outspoken. A federal judge in New York has given Musk and the U.S. Securities and Exchange Commission until April 18 to rework an agreement governing how the CEO posts information about Tesla on social media. The two sides have been at odds over whether Musk violated a settlement last year related to his tweeting about trying to take the company private.